musings of a madwoman: books! Lovely, lovely, books. Te amo. Never leave me. And also: God bless the Kindle. Here are a few books for your consideration. I read The Night Circus after Ginger said she liked it, although she suspected there might be a hidden meaning she hadn't caught. I read the book with that suspicion; like, this has got to be about politics or something? But actually, I think it's just a fantasy novel. A really imaginative, lovely fantasy novel that's a bit suspenseful and very well-written. The main gist is there are two magicians of sorts who have pitted two young people against each other in some kind of mysterious competition. Much of the competition takes place within the confines of a strange and wonderful circus. This is where Morgenstern's creativity really shines. I think it's a delightful novel and gave it four out of five stars on goodreads, docking one for a bit of vagueness, which I'm never a huge fan of. 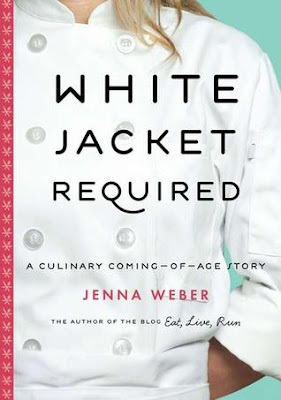 I asked for White Jacket Required for my birthday because Jenna Weber is my most recent food-blogger crush. Everything she makes is unfailingly delicious. She's a trained chef who comes up with really flavorful, easy-to-make recipes. I knew some of Weber's back story and was curious to read her full story. So I am thrilled that the book contains several recipes! I'll be trying every single one, I promise. And I found her story interesting in a list-of-facts kind of way since I am a fan girl, much like I used to be a Pioneer Woman fan girl (she is still cool and has some good recipes but I've been skunked too many times on recipes-gone-wrong). The best part of the book is near the end when she gets very real about a tragic event in her life. My issue with the memoir (aside from my belief that writing a memoir in your 20s is a bit premature) is that she's not writing like no one is reading. This is another thing Ginger once wrote, that the best writing happens when you're writing for yourself, like no one is reading. In WJR, I just kind of felt like she was worried about offending someone or revealing too much, so she scrubbed it clean until it was a little dull. That said, I still gave it three stars because I am super excited about the recipes. Ok, best for last! The Dog Stars is a five-star novel. I absolutely loved it. Here's something that won't surprise you: It's post-apocalyptic. I know. I know! Yes, Amazon does send me emails saying: Here are more post-apocalyptic novels you might like! And here's something for which I should have deducted at least one star: It's written Cormac McCarthy-style, by which I mean punctuation has sort of gone out the window. It's like stream of consciousness. I have no issue with writing in that style, except that McCarthy also wrote a post-apocalyptic novel many of us have read (or seen the movie) called The Road. So Heller is treading on dangerous ground here. But I didn't deduct any stars because what the book ends up being is poetry disguised as a novel. It's beautiful. The premise is it's nine years after a major die-off of humans and some animals and plants resulting from a deadly flu. Our protagonist, Hig, is living on a small airport with his dog Jasper and a gun-nut named Bangley. That's all I'll say about the plot. It ends up being suspenseful, heartbreaking, uplifting ... just really lovely. I really didn't want it to end. You should read it. What are you reading? I just started vN (The Machine Dynasty #1) ... it's not really post-apocalyptic! It's sci-fi, though. Humanoids and such. Only a $5 download. I almost read a book called Breed because it's about an infertile couple who try a new treatment that works but turns them into werewolves or something? But I didn't even finish reading the sample download because the fertility info was all crap. Do your research, dude. And I just ordered a book called Fat Chance: Beating the Odds Against Sugar, Processed Food, Obesity, And Disease, because my husband heard the author speak on NPR and thinks the dude is on to something. Sugar definitely is the white devil. I'm glad you reviewed The Night Circus - it sounds so intriguing but I wasn't sure if it was something I'd like. It's on my "to-read" list for sure now. I'm just starting Around the World in 80 days, which I have never read. I recently finished Mr. Penumbra's 24-Hour Bookstore and The Art Forger, both of which I thought were worth about 3.5 stars. Interesting stories, fairly well-delivered, but a bit far-fetched for my taste. I thought they each also had quite a few holes in the plot that I found annoying in the end. However, both also kept me up reading into the night to see what happened, so that does say something good about them. :) Overall, they are both worth reading. OoooOOOooooh. Some books to add to my list! I will say that after a few months of thinking about it, I gave up the idea that I missed something in Night Circus. It was just a beautiful piece of writing, that's all. 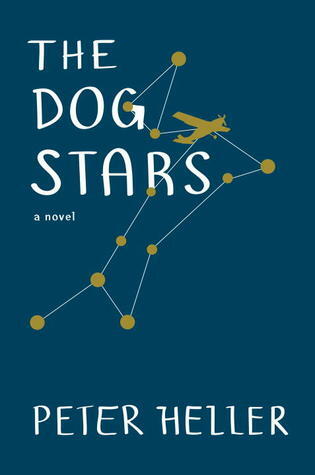 I definitely need to check out The Dog Stars, that looks right up my alley. 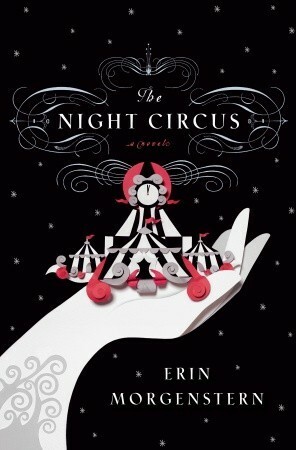 I almost wish there was a hidden meaning in Night Circus! Might make more sense. :) But yes, The Dog Stars! It will be a major contender for favorite of the year.